"Small Plates" dining has increasingly become a hot trend on the restaurant scene in the United States. 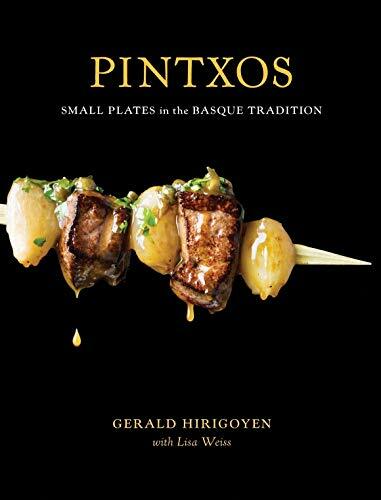 Largely inspired by the Spanish tradition of tapas enjoyed in bars and cafes, small plates dining can feature food of any nationality served in appetizer or even more petite sizes. Popularized, for instance, in Philadelphia by "Iron Chef" Jose Garces at his restaurants including Amada, Tinto and Distrito, small plates themes have exploded across the country and even been picked up by national chains such as T.G.I. Friday's. But is the trend always as good for diners as it is for the restaurateurs embracing it? Read on to learn more about small plates-style dining and the pros and cons of choosing it when you eat out. Image above: A "small plate" of oysters at a Tapas restaurant in St. Petersburg, Florida. All photos on this page are by the author, sockii, unless provided by Amazon. Small plates dining and snacking is popular in many different cultures and countries, which each has the own name for it. 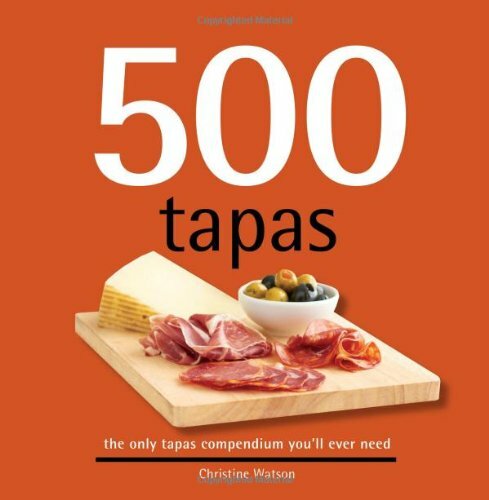 In Spain they are called tapas; in Venice, Italy they are cicchetti. Typically enjoyed by local residents in the early evening after work, they are meant to be light dishes - sometimes just one or two bites - to be tasted along with wine or cocktails. Some people will make an entire meal out of going from one bar serving small plates to the next, sampling a house specialty here and here for hours. Others will enjoy these light bites before then going for a full dinner later in the evening (in much of Europe, it is typical to eat dinner much later than in America, closer to 9pm - 11pm instead of 6pm - 8pm.) Sometimes these bars serving small plates will also have a dining room for full meals as well. Image above: Patatas bravas - a classic dish of Spanish tapas. Restauranteurs in America generally take the small plates concept in a different direction, basing an entire, sit-down meal around small plates. Instead of ordering a standard 3-course meal (appetizer, entree, dessert), in a small plates restaurant you would order more like 4 - 7 courses in order to have a complete, filling meal. Chef Jose Garces popularized the concept in Philadelphia, Pennsylvania with his flagship Spanish tapas restaurant Amada. He then continued the concept with his other restaurants in the city, including Tinto, Chifa and Distrito, each focusing on a different regional cuisine yet always with a menu predominantly of small plates. Other restauranteurs soon followed suit, and certainly in Philadelphia - as in other major cities - small plates restaurants are now everywhere. Gastropubs and bars are also often branching out from their typical nachos-and-burgers menus and offering more creative small plates options such as marinated vegetables, gourmet deviled eggs, house-made charcuterie and other "petite plates". 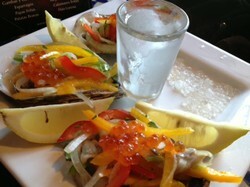 Even TGI Friday's is in on the small plates craze, with dishes like their "Taste and Shall" Thai Pork Tacos. Small plates dining can be a fun way to sample many different dishes in one meal. Sometimes when we are trying a new restaurant, there can be so many tempting options offered it is difficult to make a decision on just two or three menu items. Instead of deciding between a salad or a hot appetizer to start, why not try both? Many small plates restaurants offer special tasting menus, selecting a number of small plates to be presented in a particular order to fully showcase a chef's talent. This option can certainly make for a well-balanced dinner and often is offered with specially-chosen wine pairings to maximize the experience. Image above: Marinated sardines - a popular kind of cicchetti "small plate" in Venice, Italy. Small plates dining can also make the disappointment of ordering the "wrong dish" less painful. If you don't like one dish you ordered, you still have four or five more to enjoy instead of virtually "ruining" your entire meal. It's less food wasted and perhaps someone else at your table will enjoy the plate you didn't like much better. Small plates dining is also promoted as fun for groups to share around a large table, and also good for those with smaller appetites to feel comfortable having a light bite with others who want a full meal. Small plates can also showcase a chef's strengths by having each plate typically focused on one flavor, one key ingredient, or one unique concept. I'm sure many of us know restaurants where the appetizers are always good, but the entrees typically disappointing or not as successful? Instead of having to concentrate on balancing protein, vegetable and starch components successfully on one plate, small plates allow for more creativity and less room for critical error in the kitchen such as overcooking a large steak. Image above: Fried artichokes offered as a small plate to share in a Chicago restaurant. There is also the factor that many restaurants in America still cling to the concept of quantity over quality, even as diners have become more health-conscious and sensitive to "portion distortion." Most of us don't need an entire pound of cooked pasta in a bowl or a two-pound steak for dinner, and sometimes leftovers are simply wasted or its impossible to bring them home. Small plates dining allows you to enjoy smaller servings of food instead of feeling awkward about going to a restaurant and perhaps only ordering an appetizer, or a single dinner entree to share. In my experience, however, there are some occasions when small plates dining may be less than ideal. Different restaurants can have very different ideas of how "small" a small plate should be, making it sometimes difficult to know how much to order. A waiter looking for a high tip is likely not going to tell a patron when they've ordered too much, and may try to push you to order more dishes than you really need. Sometimes even one restaurant can have plates of very different sizes and it's not easy to tell when you've ordered a plate that will be only one or two bites, or practically the size of a full appetizer. Price is often not an easy way to determine plate size, as an expensive ingredient such as sushi-grade fish may make a three-bite plate the same price as a small bowl of filling pasta. Small plates are not always easy to share evenly, particularly if out on a date. There often seems to be a trend to serve an odd number of items - say three spring rolls or one unsliced miniature sandwich. The experience can also become awkward for two or more diners who don't want to share and sample each others' plates, as orders tend to come out as prepared in the kitchen and not in a set order or timing. One person could be sitting awaiting a fresh-cooked pasta plate while others have already been served and eaten two cold salads or pre-made items. Small plates do not also always equal a small bill at the end of the meal, either. These days in a moderately upscale, metropolitan restaurant it is easy to expect to spend $10-15 on an appetizer, $18-30 on an entree, and $7-10 for dessert - a total of around $45-50 before tax, tip and beverages. 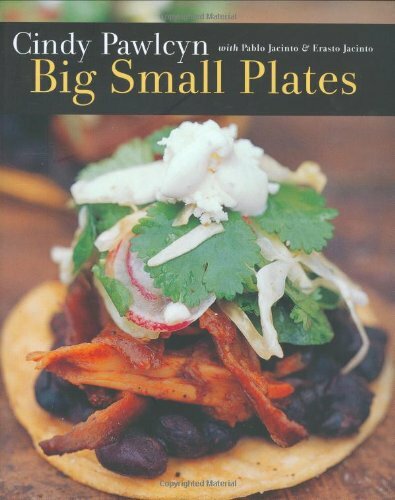 Small plates typically run anywhere from $5 for very tiny bites to $15-18 for one with exotic ingredients, with many in the $10-12 range easily. At that rate, ordering 5-6 courses per person, it is easy for the bill to run up more in the $50-70 range without even realizing it. In my experience, dinner for two at a trendy small plates restaurant in Philadelphia such as Marc Vetri's Amis or Jose Garces' Tinto can easily result in a tab of $140-170 if some drinks or a bottle of wine were ordered. At more "traditional" restaurants in the city, with bar service, I am more likely to spend $100-120 for two. Salmon crudo: cute plate, but how do I "share" it? There are many reasons why small plates dining has become so popular in the United States, both for diners and restauranteurs. The concept is fun, the flexibility of the format makes it appealing to people with different dining preferences, and it can allow customers to sample many more tastes and dishes in one meal than at a traditional restaurant. However, the experience is not for everyone, and some restaurants execute the concept better than others. It's certainly worth trying a small plates restaurant near you, just be careful to watch your bill add up and also try to research the restaurant first through reviews and blog sites, to get a sense of their service style, portion sizing, and what kind of bill to expect at the end of your evening. 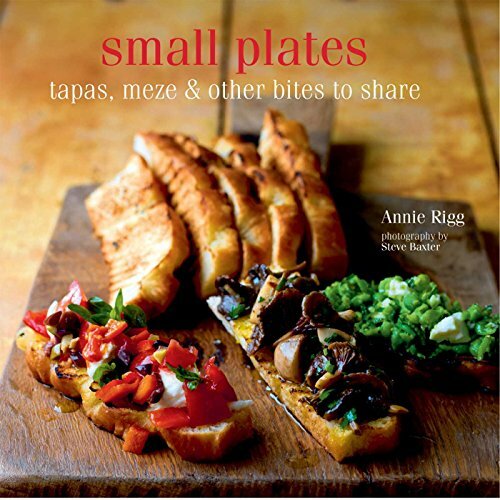 Do you enjoy small plates dining? Yes. 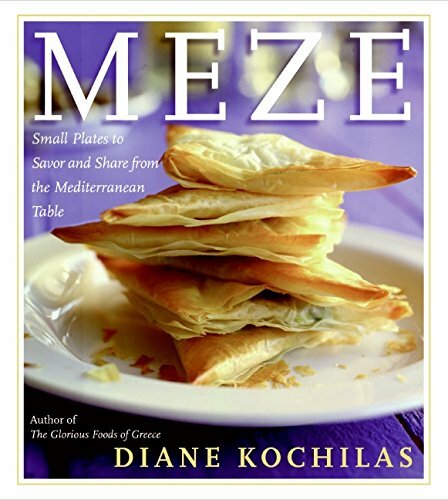 I think it's a great way to share and sample lots of interesting dishes. No. I prefer to order "big plates" in restaurants and enjoy a traditional-style meal. I like them both, depending on the situation. Other (I'll leave a comment below). ...check out my food blog, South Jersey Foodie! You make me want to travel to Italy again. I see so much good stuff on both travel and food channels, and then I read about it here and there, and it sounds amazing. So they too eat late, huh? Yes, small portions at night would be great. And yes, I think small portions do make sense late at night when you don't want to go to bed with an overly full stomach. I think tiny portions make more sense in Spain where they have dinner at 10pm! You write that it's common in Europe to eat dinner that late. I was not aware of that. To me Spain stood out in that respect. What countries are you specifically referring to? Cicchetti is the Italian version of small plates or "tapas"-style food. It's perfect for a cocktail party or other gathering. 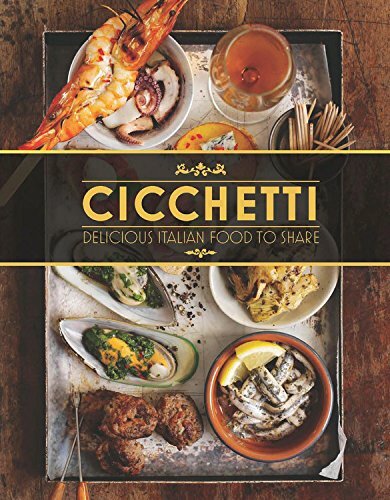 Let me share some great cicchetti ideas and recipes!